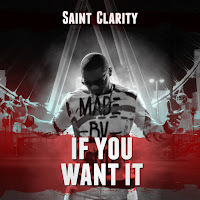 Saint Clarity is a super talented music artist from Philadelphia, Pa. He is one of the few artists in today's music industry that keeps artistic creativity alive in music. Self proclaimed ''The most versatile artist in the music industry'', His music catalog covers every genre of music from Pop, EDM, Hiphop, R&B, House, and even country! With so many artistic variations Saint Clarity is sure to draw fans from every walk of life, no matter what your music preference is. In an age where creativity is an after thought, Saint Clarity definitely separates his self from the average artist.